Hey all, we are in the final hours (30 to be exact) of the Age of Legend Kickstarter, and to say things have gone well would be a gross understatement. We are just a few thousand away from joining the other 4 fiction Kickstarters that have surpassed $100,000 in pre-order sales. How nuts is that? Seriously, the support has been nothing short of amazing. Not only have you covered the costs for the print run, but also the cover design, copy editing, the production of soundtrack music by Will Musser, plus I’ll end up getting an advance…something that usually only happens when you sign a traditional deal. And since traditional publishing isn’t something I can’t do for this project (because the audio rights were previously sold and no traditional big-five publisher will take on a project without those rights), that’s a tremendous gift you’ve given me. In return for the amazing support, I’m able to give back to the backers who pre-order by offering things you just can’t get when buying through the store. Here is the current list. Screensavers for phones, tablets, and computers that features artwork by Marc Simonetti. We have just 30 hours left for the Kickstarter. So, if you’ve already backed the project, thanks so much for the support. If you haven’t backed it yet, check it out and see if it is something you’d like to join. Oh, and if you know other fans of my writing, please tell them about the Kickstarter. After all, if we reach that final goal, all the backers will benefit. And as always, I and Robin thank you for your support. No, this isn’t an announcement about a Legends of the First Empire television series, but it’s still pretty cool. Allstate Insurance recently did an advertisement about the resilience and strength of Carolinians in the wake of Hurricane Florence. In this ad, they focused on the Angel Oak of Johns Island South Carolina. It’s an amazing tree (and some say it’s the oldest living thing east of the Mississippi). It’s estimated to be between 400 – 500 years old, and it’s magnificent. It was also my inspiration for Magda, the wise and ancient oak of the Cresent Forest in the Legends of the First Empire series. Even though Marc Simonetti did a fabulous job interpreting the Angel Oak for the cover of Age of Myth, I thought people might want to see Magda in all her glory. Yes, we have copies now, and they are shipping from our online store. We’ve also full-funded our Indiegogo campaign to buy all the remaining stock from Del Rey, and we are heading toward our 3rd stretch goal. Goal #1 and #2 are providing signed Age of Swords bookmarks, and if we reach the next goal, Robin and I will do some online Q&A sessions on writing and the business side of publishing. The big shipment from Del Rey is in the warehouse, and I’ll be going there to sign those books after the holiday. $108,016.88: Del Rey’s cut of the hardcover sales of this book (including what we paid them). $21,490 – gross amount the crowdfunding campaign has raised so far. Yes in 5 days I’ve brought in MORE money than over a year’s worth of royalties from the traditional publisher! Now granted, not all of that is profit, but we still have 2 weeks and 3 days to go, so who knows how much money we will raise. 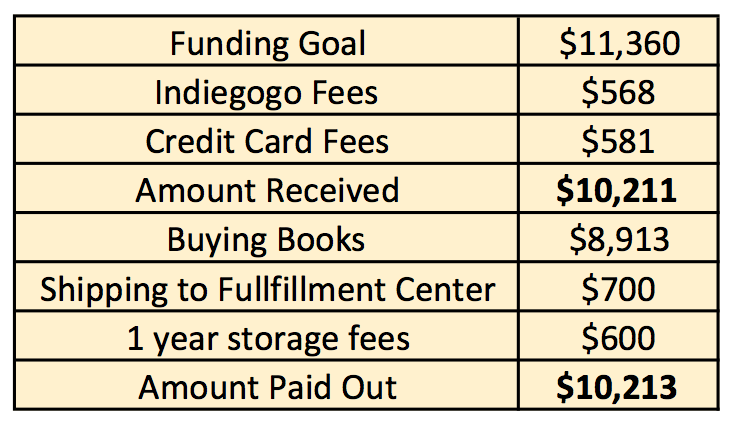 $75,264 – my potential income if all the remaining books are sold at the same price as the crowdfunding campaign ($22). I don’t know about you but I find that pretty eye-opening. Today at noon, this IndieGoGo campaign will go live. No, it’s not the project for making Age of Legend (although that project will be launching early next year), but something came up out of the blue and we need to act fast. You see, Del Rey has put the hardcover edition of Age of Swords out of print, and we have a small window to do something about it. I discovered the out-of-print status when I tried to order copies to replenish our online store, and I wasn’t able to get any. After a little digging, I found that the only way to get copies were through Amazon Marketplace resellers and they had jacked up the prices to $89 – $191 for both new and used copies. That’s an outrage! To make matters worse, I won’t earn a dime from any sales of the hardcovers from here on out. But, honestly, that doesn’t upset me as much as the fact that people will either have to “do without” or pay outrageous prices to have hardcovers on their bookshelves. So, here’s the deal, Robin found out how much it would cost for us to buy up the remaining copies, send them to a warehouse, and hire a logistics company to ship them out. It’s not cheap, but it is doable if we can raise $11,360. So, if you haven’t picked up hardcovers yet (or are looking for a gift for a friend or relative…Christmas and Hanukkah will be here before we know it), now would be a great time to get copies. And we’ll also keep these books out of the reseller channel, and without the ability to buy new stock, they won’t be able to rip off more people with their price-gouging techniques. Oh, another thing I should mention…there is a limited number of special perks which will be for a one-night stay with Robin and I in our cabin in Luray (maybe you saw a bit about it in our recent post). Okay last thing, unlike Kickstarters, we get funding from IndieGoGo even if we don’t hit our goal, so we’ll be able to buy a subset of books if necessary, which means you will get your copies no matter what funding level we reach. But buying a fraction of the remaining stock will mean that the resellers will be able to get more, and I’d hate to facilitate their bad behavior. Anyway, check out the campaign starting at noon, and if you like what you see, please consider backing the project. When can I read Age of Legend? This is a question I’m getting often right now. That’s a good sign, it means people are reading and enjoying Age of War and want more. I recently wrote a pretty detailed email on this subject, and I thought I should share it here as well. It’s not a short answer, but I want to be comprehensive, so bear with me. 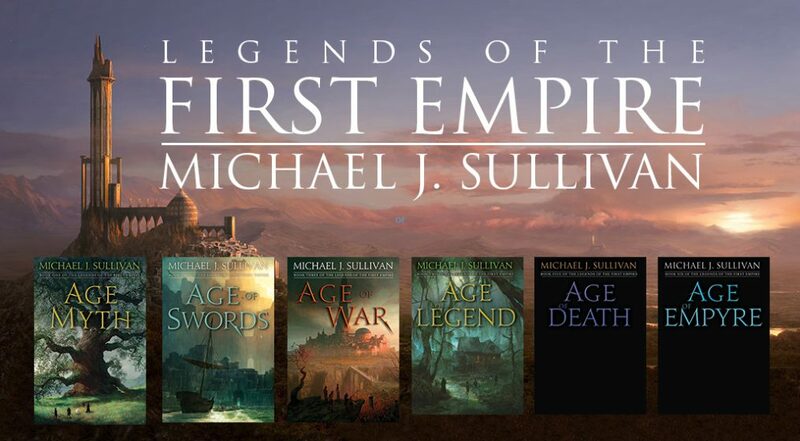 So, as you may already know, all the books of the Legends of the First Empire were written before I sought a publisher for the series. At the time, the series was five books and Robin (my wife) declared the first three were in really good shape, but the last book was rushed, and it felt like I was “smooshing” two stories into one volume…and she was right. So, I ended up making six books and the series nicely divided into two closely related trilogies. After reading the revised version, she still had a number of plot problems with “the back half” of the series and submitted me a long list of changes. I’ve hence made fixes to that list, and Robin now proclaims the series “ready for prime time” The first milestone has been reached! Originally, Del Rey signed me to a four-book contract (the first three books of Legends of the First Empire) and one yet to be named book based in Elan. The intention was to sign the remaining two books to them so that they would release the whole series. Well, when it came time to negotiate the new contract, I had to remind Del Rey that the audiobook rights to the remaining books had already been sold, and this presented a problem. You see, the parent company (Penguin Random House), made a new policy where Del Rey couldn’t sign books where the audiobook rights weren’t available. So, even though the books have sold well (#1 and #2 hit the Washington Post hardcover bestseller list and #3 hit the New York Times audiobook bestseller list), and we’ve enjoyed working together, we can’t continue to publish these books as a team. This was quite disappointing, but also something that Robin thought might happen. Still, the value of the audiobooks is so great that we can’t really afford to split that money 50/50 with a print/ebook publisher. Becuase the series breaks down neatly into two trilogies, I also didn’t want to make that “yet to be named book” the fourth book of the Legends series if they weren’t also signing the rest of the books, so, instead, I asked if we could end the relationship with Age of War so we could have a clean break there, and Del Rey agreed. We then went in search of a publisher who would take only the print rights, and we found Kensington Press (the biggest of the independent (non-big five) publishers. We struck a deal and started working on the contracts. A process that always takes a very long time (because Robin has to negotiate a number of things out of the contract before I’ll sign). Much of the changes was revolve around control issues. They wanted a release schedule that matched Del Rey’s (one book a year in the summer June or July). We wanted the books to come out faster (mainly because I’ve already started writing my next trilogy (The Rise and the Fall), and I expect it’ll be done soon. I didn’t want these new books “waiting in the wings” for multiple years. Anyways, after months and months of back and forth, we decided that I’d be happier with self-publishing where I had total control of content, release date, pricing, and a bunch of other issues. So even though Kensington made a lot of concessions, we ultimately couldn’t come up with a contract that we were both happy with so that deal is now dead. Now that we had the rights to the “second half of the series” in complete control, we could do whatever we want…but what would that be? Ideally, we want the books to come out quickly (but without any sacrifice in quality). So the current plan is to go through the whole last part of the series at once–polishing all three books back to back. What that means is we have a lot of lifting to do, but the books are in good shape so it’s light lifting rather than heavy. That means all three books will come out in a single year’s time. Now that said, I should note there is a lot left to do. The good news, is if we miss April, we’ll still be able to do the “rapid release” of having all books out in a year. It’s really just “when” that year will start. Oh, a few other things I should note. The plan is to have the second half of the series “match” the first half. Of course, we are still using Marc Simonetti for the cover designs, and we are doing some “reverse engineering” to determine the same stock as Del Rey used for paper. We’ll also make sure the sizes match (so everything lines up nicely on your bookcases). In order to do this, however, will require a substantial upfront cost for the print run. So we’ll most likely run Kickstarters to help with the printing. The good news…people who participate in the Kickstarter will be able to read the book even before the official release date, so if you’re really anxious you’ll be able to get the book even sooner. Whew, see, I said it was a long answer. But hopefully, it lets everyone know what to expect. Well, it’s finally here. 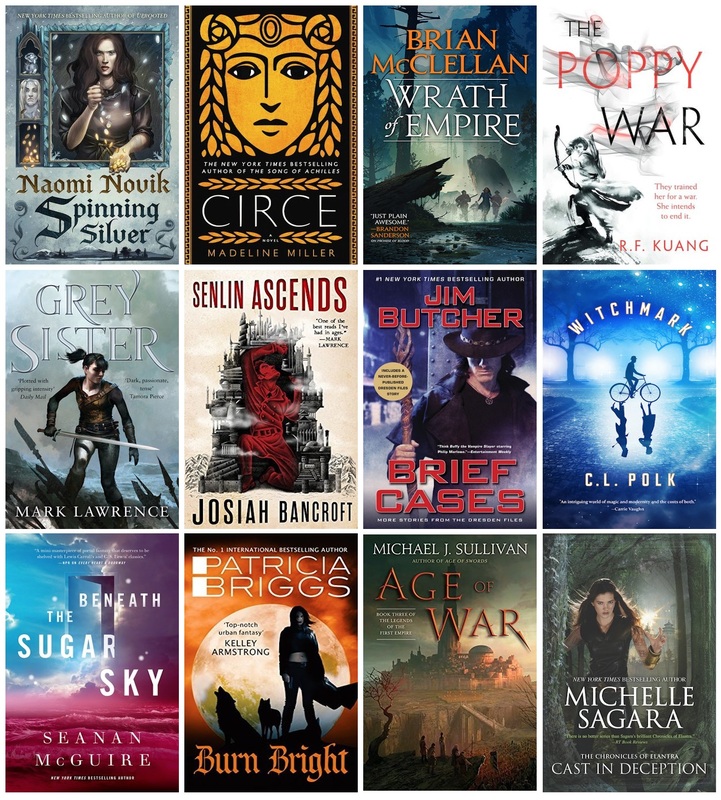 The release day of Age of War is only one day away and The Legends of the First Empire is dominating the audiboook epic fantasy best-selling list. All three novels are ranked, and thanks to a $5.95 sale on Age of Myth I have a book sitting in the #2 spot! If you haven’t picked up a copy of Age of War I hope you will. I’m very excited to hear what people think about this next installment in the series.